A force to reckon with in the field of internet leads generation for more than a decade, Smart Leadz has also risen to prominence as a renowned Search Engine Optimization (SEO) Company over a short time period. Our superior SEO services have been marked by dedicated workforce, cutting-edge technology, and result-oriented techniques to meet the specific business goals and requirements of the worldwide website owners. We are successful because we follow a highly systematic work methodology with an efficient monitoring and controlling system in place. Just take a look at it below! Web users enter certain queries into the search boxes of search engines to find particular information online. These queries are called keywords or key phrases. Hence, they should be relevant to your business as well as have excellent search volumes. Smart Leadz figures out the most profitable keywords for your business through exhaustive research and analysis and send them to you for your approval. We employ advance tools in this process to prepare a list of keywords that is worth targeting in our SEO campaign. 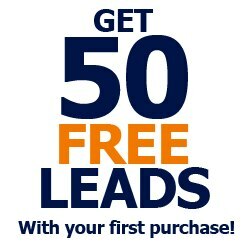 Contact us right now to receive a complete pre-SEO report on your website absolutely FREE of cost! • Preparing keyword ranking report, link submission report, live link report, etc. Smart Leadz offers intelligent marketing solutions, whether it is internet leads generation, search engine optimization, or Interactive Voice Response technology. So, if you would like to start a state-of-the-art SEO campaign for your website, contact us immediately and get a free pre-SEO report today!